Understanding Company Law is a lively introduction to the key principles of the Companies Act 2006 and modern company law. It takes a unique approach to the subject, which also encompasses the important and growing fields of securities regulation, corporate governance and corporate social responsibility. 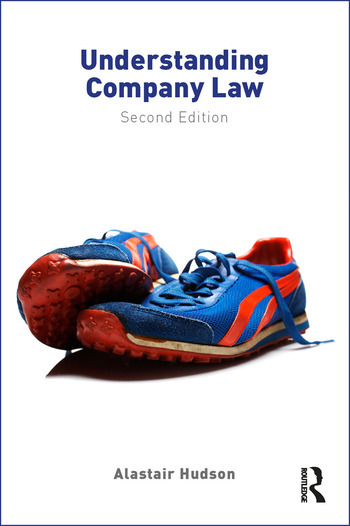 This book covers all of the key topics that a student reader will encounter in any company law course. The discussion presents the key principles simply, before guiding the reader through the more complex issues that are often the focus of examinations in this subject. It also offers pathways into further reading, while injecting enjoyment back into the topic. In Understanding Company Law, Professor Hudson provides a straightforward guide to the law, while providing context, detailed analyses of the leading cases, and no little humour. The second edition covers key recent changes and developments in company law, both case law and statutory, including: two recent Supreme Court decisions on piercing the corporate veil, VTB Capital plc v Nutritek International Corp and others and Prest v Petrodel Resources Limited & Others, and an analysis of the Conservative government’s Green Paper on Corporate Governance. Visit the author’s website at www.alastairhudson.com to find podcasts of specially recorded lectures covering the basic principles and an audiobook version of this text. Ten things you need to know about company law. 1. The birth of modern company law. 2. The Salomon principle. 3. The nature of modern companies. 4. The legal structure of a company. 5. The ownership of a company. 6. The management and operation of a company. 7. Directors’ duties. 8. Shareholders' rights. 9. Corporate governance. 10. The company’s capital. 11. Securities regulation and raising capital. 12. Mergers and takeovers. 13. Corporate insolvency. 14. Corporate social responsibility. 15. Thinking about company law. Alastair Hudson LLB LLM PhD FRSA FHEA, Barrister, Lincoln’s Inn, is Head of School and Professor of Equity & Finance Law at the University of Strathclyde. He has been voted Law Teacher of the Year and is a National Teaching Fellow.